This soundtrack is killer. 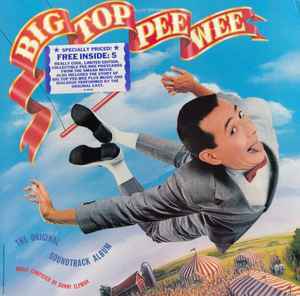 First of all, it was my second favorite movie after Pee-Wee's Big Adventure as a kid, so it had nostalgic meaning. But all that aside, the soundtrack is by Danny Elfman, so naturally it had kind of a spooky feel with a carnival twist. It's awesome. If you don't have it it your collection you need to get on it! Don't forget the colorful fab cover art, too!